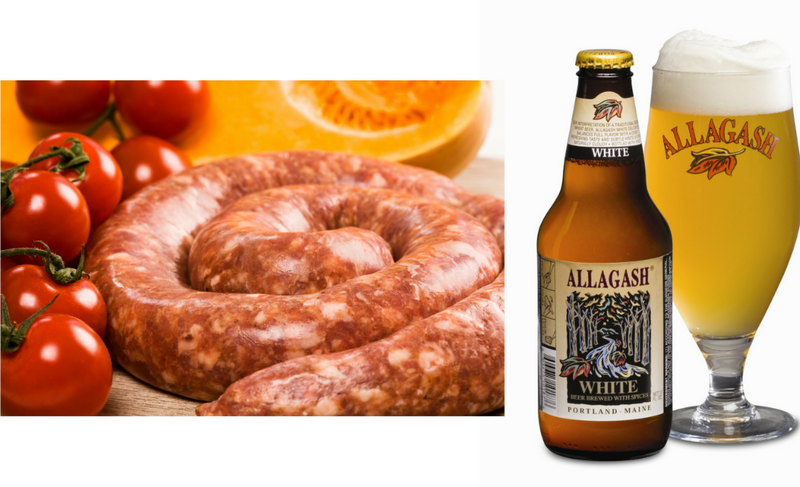 It’s Oktoberfest season, which means we’ve got sausage and beer pairing on the brain (though really, when do we not?). But even when it’s not exactly the right time of year for your favorite German bier haus, it's never a bad time for beers and brats. In fact, according to figures compiled by the National Hot Dog and Sausage Council—oh yes, you better believe it exists—dinner sausages have enjoyed unprecedented sales in the United States, hitting more than $3.85 billion in 2015. Creating the perfect pairing of a refreshing beer and a succulent sausage is more of a science than an art, though. You can't just mix whatever you like and expect an enjoyable match; trust us. After all, we're the sausage experts. 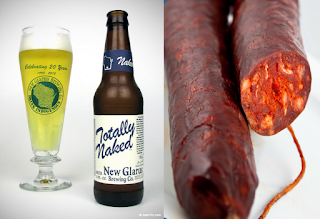 For this edition of Sausages of the World, here are six of the best beers to serve with sausage this Oktober (or anytime). Originating in France, French immigrants brought Andouille to Louisiana and it has since become a staple in Cajun cuisine. This double-smoked sausage is made of pork from a Boston shoulder roast, garlic, onions, pepper, wine and other seasonings. Available exclusively in the fall, this Märzen brewed by the Great Lakes Brewing Co. in Ohio has an alcohol by volume of 6.5%. While some Märzen-style beers are either too malty or not balanced, this pick has the clean malt character you look for in a beer that pairs well with Andouille. Its bitterness is clean and not overpowering. 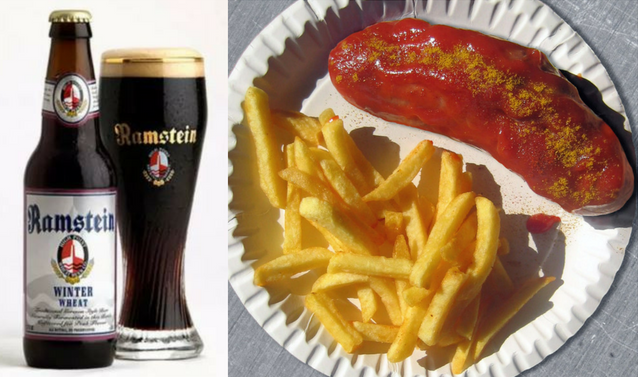 This common fast food, which originated in Berlin in 1949, consists of fried pork sausage (the traditional German bratwurst) that's usually cut into slices, topped with curry powder and accompanied by a special curry ketchup. If you're a fan, there's even a museum in Berlin you can visit that's dedicated to the national German dish. Available in the winter and brewed by High Point Brewing Company in New Jersey, this German-style ale comes with an ABV of 9.5%, which is hidden well by the wonderful balance of its full caramel and chocolate malt flavors. It makes for the perfect match when enjoying a currywurst on a cold winter's day. Consisting of fermented and air-dried pork or beef, salami was popular among central and southern European peasants because it can be stored at room temperature for up to 40 days after being cut. While many European countries make their own traditional varieties of salami, the Italians sure have perfected this delicious deli favorite. Brewed by the popular Magic Hat Brewing Company in Vermont, this English Stout has an ABV of 5.7% and is only available in winter. With a smooth palate and undercurrent of bittersweet chocolate, it complements the saltiness of this sausage well. For a full-bodied and well-rounded stout for your salami, look no further. Like salami to Europe, there are many varieties of chorizo across Latin America, but Mexico has perfected the tastiest version. Because of the high cost of imported smoked paprika from Spain, Mexican chorizo is usually made with native chili peppers. 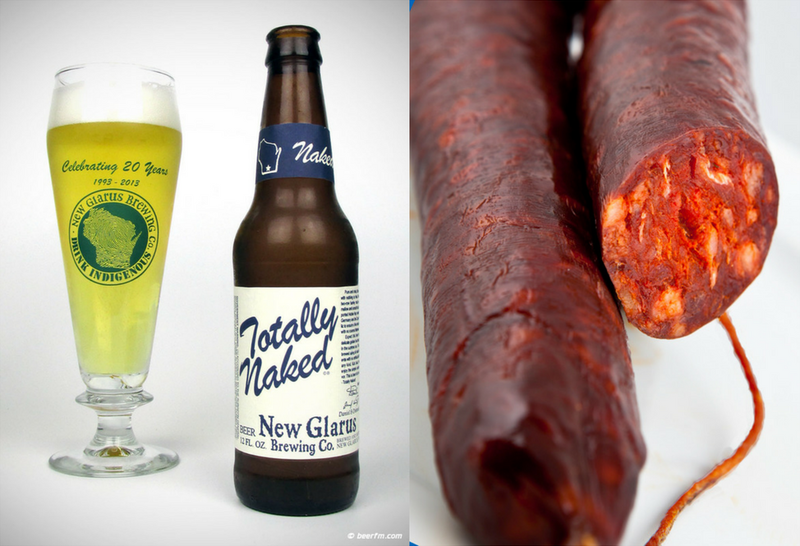 Brewed by the New Glarus Brewing Company in Wisconsin, this American Pale Lager comes with an ABV of 4.25% and complements the spiciness of chorizo perfectly. Crisp and clean with a smooth and mellow body, this beer has just the right hint of light malt character for a hot chorizo. It's almost a crime not to include some type of Polish sausage on a list like this, considering it's a cuisine staple, comes in dozens of varieties and there are even government guides dedicated to different sausages. Kielbasa, which is often used in dishes during the holidays and at weddings, can be served in a variety of ways. When looking for the perfect beer to pair with kielbasa, a Czech Pilsner is a perfect match. Our favorite is brewed by the Baderbräu Brewing Company in Illinois and has an ABV of 4.8%. Considering Chicago is home to the world's largest Polish community outside of Warsaw, it almost seems fit this beer would make our list. 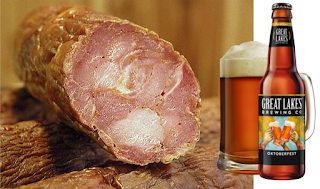 The reborn brew and its extreme smoothness pair perfectly with any dish containing kielbasa. When your taste buds think sausage, they usually salivate for the European and Latin American versions because of their widespread popularity, but let's not forget about the Boerewors sausage from South Africa. This sausage contains at least 90 percent meat, always with beef, as well as a combination of lamb, pork or a mixture of both. The rest consists of spices and other special ingredients. Want to make your own? Follow our recipe! When it comes to white beers that pair perfectly with this style of sausage, there’s no better option than this beer brewed by the Allagash Brewing Company in Maine. At an ABV of 5.1%, the interpretation of a traditional Belgian wheat beer contains a generous portion of wheat and is spiced with coriander and orange peel. Fruity and refreshing, you can't go wrong with this selection. 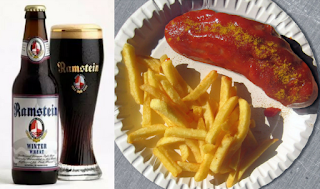 Are you a beers 'n' brats aficionado? Leave a comment below and share your perfect pairing with the world, or share it with us on Facebook!